ItemI-51550 - "Newfoundland Lobster, J. Small Jr. Burgeo Newfoundland, Deep Sea Lobster"
ItemI-51551 - "North Pacific Canning Co. Fresh Salmon, Skeena River British Columbia, Walrus Brand"; from MS I/BA/Scr1. ItemI-51552 - "Fresh Lobster, A.W.Y. Des Brisay, Madisco N.B. Unicorn Brand"
ItemI-51590 - Old house at Nicola. 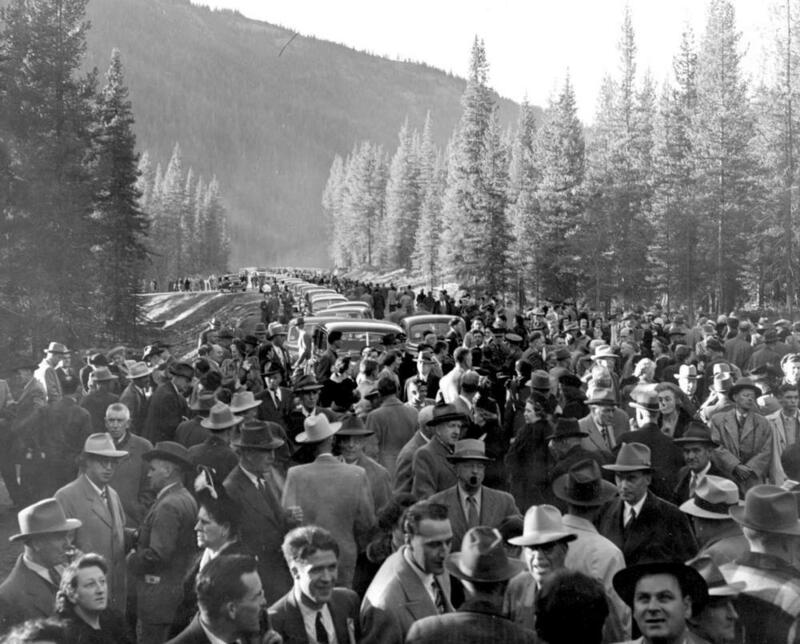 ItemF-07648 - Opening of the Hope-Princeton Highway, November 2, 1949. ItemD-07561 - "HMCS Rainbow, first vessel of Canadian Navy in Pacific, saluting Work Point and Macaulay on arrival at Esquimalt"; photographer number 1024. ItemD-08344 - From "The North American Indian" by Edward S. Curtis; Volume 11; Plate No. 397; Haida chief's tomb at Yan. Item F-07648 - Opening of the Hope-Princeton Highway, November 2, 1949.